SRO Housing Corporation’s affordable housing development in Westlake may rise a little faster than usual. 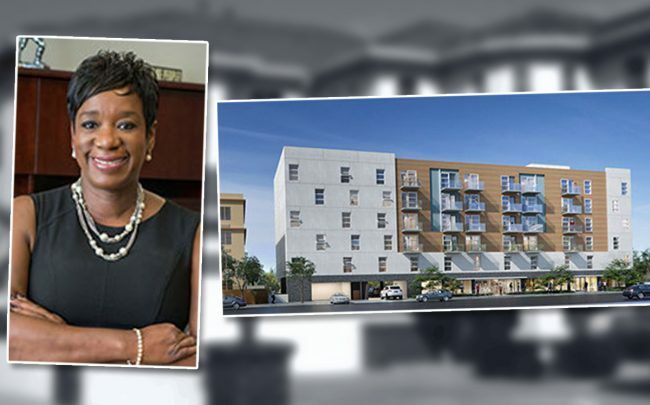 The Downtown-based affordable housing developer filed plans for the 120-unit, seven-story Ingraham Apartments at 1218-1232 W. Ingraham Street, according to the Los Angeles Business Journal. SRO is filing to expedite the approval process through a state law. Called SB 35, it requires cities that lack housing do what they can to quickly approve housing projects. The law allows developers to skip the city’s often arduous and years-long environmental review and approval process. All 120 units are planned as 400-square-foot studios, according to SRO Housing’s website. Like other single room occupancy developments, all of the units are reserved for low-income tenants or people experiencing homelessness. A 2018 state report found Los Angeles is one of 500 municipalities that haven’t approved sufficient housing, qualifying it for SB 35. The law was passed in 2017. L.A.’s housing shortage is among the worst in California. Landlords have converted an average of five affordable units back to market-rate each week since 1997. SRO Housing is also beefing up the Westlake project with Transit Oriented Communities incentives. The city program provides density bonuses and other incentives for projects with affordable units built near transit options.